Baseball season is in full swing here at my house. This means late nights and long days. We rush home three nights a week in an attempt to feed and get kids ready for bed and ready for school the next day. I like to try and keep dinners simple and fast on those nights, and if possible I prep them the day before. That way we can come home, toss them in the oven or microwave and eat. I try to keep a list of great meals on hand that the kids love. This one fell into my lap a couple of weeks ago, and it was a HUGE hit. We love burgers, but the kids are young and can’t always eat a whole one alone, and I hate to go out and grill on these already busy nights. This recipe allows me to bake everything fairly quickly, and it freezes well. 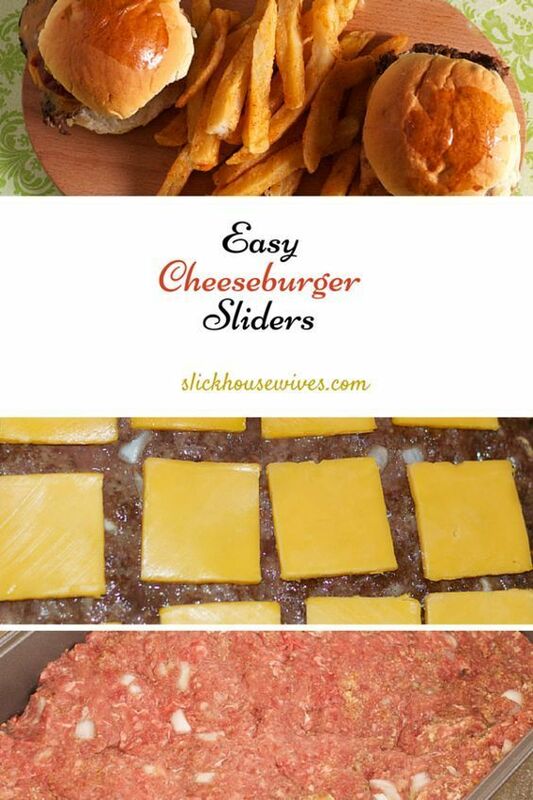 Check out this simple and delicious recipe for sliders from Slick Housewives. It really is a great way to make things fast that will undoubtedly please everyone. And my family said they were way better than store bought and restaurant sliders. This entry was posted in Food & Recipes and tagged cheeseburger sliders, dinner, dinners kids love, fast dinners, food, recipes, simple dinners, slick housewives, sliders, the boys store on March 7, 2018 by Lacy.